Three in four people could be exposed every year to deadly heatwaves by 2100. Remember those historically hot months we’ve had recently? Well, those might soon be the norm in the United States, Canada, the Mediterranean, and pretty much all of Asia. In the next couple of decades, it will become almost impossible to enjoy summers in these areas, according to a study published in October in the journal Earth’s Future. By using a particular environmental “fingerprint” analysis called Wet bulb Globe Temperature, which measures “the effect of environmental temperature and humidity on thermal comfort,” researchers found that these record-hot summers are likely to occur 70 times more in the future than they did in the past 40 years. Concretely, this translates to some 50 percent of summers occurring in the 2030s to be warmer than record-hot summers in the past 40 years. It doesn’t stop there. Almost every summer from 2050 onward will be hotter than what we’ve currently been experiencing — and we’ve had some pretty warm ones recently. Indeed, in this summer alone, a catastrophic heat wave dubbed “Lucifer” has plagued Europe, causing devastating forest fires in Portugal. Then, California also had its prolonged hottest summer ever, hitting triple-digit temperatures similar to those experienced last February in Oklahoma. Perhaps not suprizingly, 2017 has been predicted to be the warmest year ever, and that says a lot considering that temperatures were record-high in 2016. The new study contributes to previous research that establishes a clear connection between recent warming temperatures and our use of fossil fuels. A still-to-be-published U.S. government report found global average temperature increase since 1951 is influenced by human activity. The record-hot summers, in short, have been caused by so-called “anthropogenic influence” on environmental conditions. And humankind could end up reaping what it has sown. Warmer climate, while harmful for the environment in general, would cause more than just extreme discomfort for us humans. Zwiers told Motherboard that this would lead to more heat alerts in the cities, causing them to resort to aggressive cooling strategies most summers. The warmer temperatures could also potentially upset our supply of electricity, as people resort to using cooling systems (electric fans and air conditioning units) more often when it is hot, leading to a larger energy demand. It doesn’t stop there, however. In many places in Asia, Zwiers added, the heat would be to much to bear, making it dangerous to work outside. In a separate study published in June in the journal Nature Climate Change, Mora and his colleagues pointed out that some 30 percent of the world’s population already suffer from potentially deadly heat for 20 days or more annually. 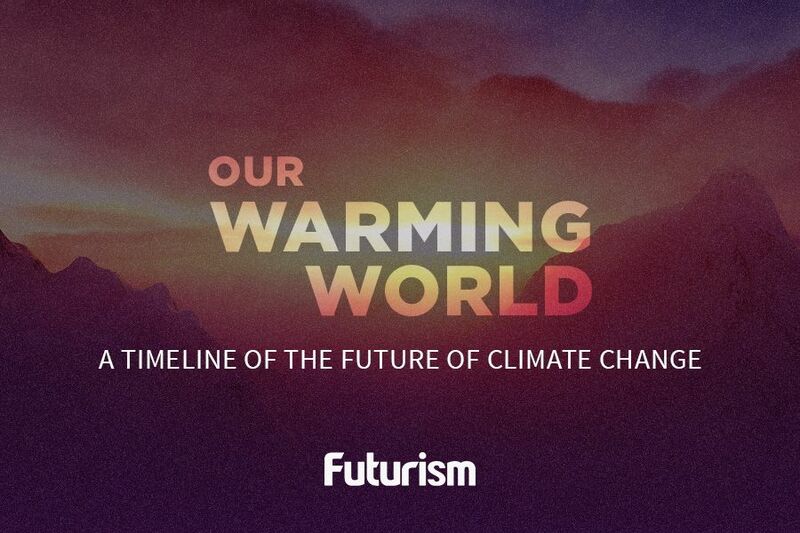 The numbers would only go higher if carbon emissions aren’t dramatically decreased. Possibly three in four people could be exposed every year to deadly heatwaves by 2100. The temperatures could become so bad that one would long for the words of House Stark — “Winter is coming” — to actually happen. Theses studies should serve as eye openers for many on the realities of a warming planet, but hope is definitely not lost. Efforts to combat human-induced CO2 emissions continue on both the national and local levels, as well as in the business sector, in a number of countries. We should encourage more to join this work so that carbon emissions targets, such as those set by the Paris Climate Agreement, are met before things become even more difficult to manage.